Week Four of the NFL is in the books—wow, that happened fast! We were planning on doing one post per week about what’s going on in College Football and the NFL (and applying the lessons learned to business), but things got busy here, and time sped by. So, our new plan is to just write a review of the games (and what we can learn from it) when the spirit moves us. We’ll also use the occasion to post a couple of announcements about our own organization. Ready? First, check us out on Snapchat. Snapchat is the social media network where you can let your hair down. 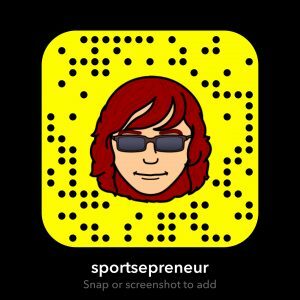 Our Snapchat name is sportsepreneur. And you can add us if you screen-shot the image below. Who is that guy in the image? That would be our Bitmoji mascot. He loves sports, having fun, and engaging with others. His name is Chaz cause, well, if you take the place where Chaz originates from (Charlotte – the CHA) and the business name of KazSource (the Z) and combine them, you get Chaz. Clever, huh?! Second, if you want ideas on how to use Snapchat (and other tools) to develop your business, sign up for our Exclusive Content Newsletter by clicking here. It’s content you will not find anywhere else on any of our platforms. Now, back to the NFL. Remember when the New England Patriots were a lock to go 16-0? And the New York Jets were a lock to go 0-16? That was fun. Well, after four weeks, the Patriots are 2-2 (and could easily have been 1-3). The Jets? They are 2-2 as well. And the Buffalo Bills are in first place in their division. And no, it is not the mid-1990’s. Everyone assumed wrong. Yes, everyone (even me). Even the most optimistic Bills fans never anticipated wins over the Denver Broncos and the Atlanta Falcons. In business, you may assume you can’t win the deal, or that you won’t get a promotion, or that your idea isn’t going to work out, but you don’t really know, do you? Stop assuming and go for it. On the other hand, going for it does not assure victory. You win and then you lose—sometimes in a matter of minutes. That would be the Detroit Lions in week three. It’s frustrating. It seems unfair. And for the Lions, a team all too used to losing, a meltdown over the disappointment would have been understandable. They could have blamed the league and focused on the wrong thing. But they didn’t. They came back in week four and won. They are now 3-1. How you respond to adversity is key, not only in football but also in business. It would be great if the Bills won the division and the Jets came in second place. But let’s not forget, we are only through the first quarter (sort of) of the NFL season. Confidence is a great thing, but hard work is even better, and without hard work, a good first quarter won’t mean much. Same in business–focus on what you do, block out the noise, and go win another deal. What do we expect from here? How about a roller coaster ride? 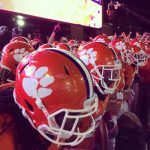 There will be amazing wins, brutal losses, injuries, and noise—lots and lots of noise. How will these teams respond? And how will you respond to your own roller coaster rides?